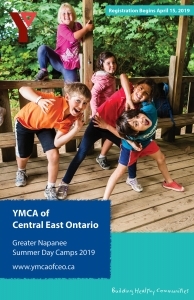 The YMCA of Central East Ontario and the Town of Greater Napanee have partnered to bring YMCA summer day camp to Greater Napanee this summer! Click here to view the camp brochure. Registration opens on Monday, April 15th.